If you're a beginner wanting to experience the thrill of high performance karting then this is the course for you. It's an introduction to go-karting! After the classroom portion of the class, racers will be off to the race track starting with a quick overview of the kart and a 'Track Talk' which will familiarize you with the circuit. Then it's time to begin our track sessions! The first track session will be a slalom exercise where we will focus on vision, line, and smoothness of our kart driving. The next track session we will introduce the track with a lead and follow, where the instructor will show students the proper line around the circuit. The ARRA Introduction to Karting course utilizes the Speedsportz Racing Park's 125cc Rotax TAG karts. Students must be at least 16 years of age to use these karts, as they are able to reach up to 70mph! However, younger students can experience performance karting too; contact us for more information about junior karting classes! 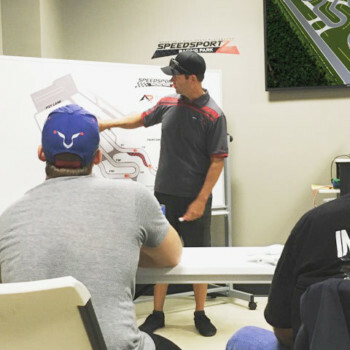 To schedule your Introduction to Karting with Houston's best performance driving school, you can complete our online form, email us at info@speedsportztx.com, or call us at 866-607-RACE (7223). Safety equipment will be provided if needed. All karting school participants MUST wear long pants and closed-toed shoes.